Only 1 person had entered!!! Come on, what are you waiting for?? You have until midnight CST! IT’S COMPLETELY AND TOTALLY FREE! I have only been a member of the Uprinting blogosphere for a very short time, but I must say that I am very, very impressed. So far, they have shown that they really care about the impression that they are making on the public and their sponsored members. Based on feedback that we gave on the last couple of giveaways, they have reimplemented FREE shipping. And hey, that’s the way a giveaway should be right? 🙂 Kudos Uprinting! 1. 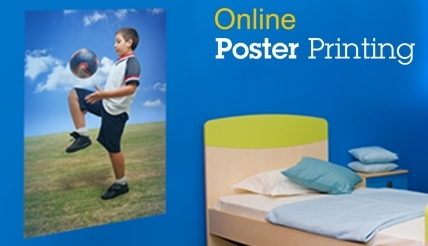 Visit Uprinting and check out the a Digital Photo Enlargement or Digital Photos on Posters. 2. Leave a comment here telling me how you would use your poster. Extra entries (OPTIONAL) – 1 extra entry for each action. 1. Retweet this contest on Twitter by clicking the button in the upper right corner. 3. Subscribe to this blog via Networked Blogs. If you do any of the extra steps, please leave me a comment telling me so. This contest will run until FRIDAY, FEBRUARY 26, 2010. The winner will be emailed and/or tweeted. I have been looking for a site that could guide me in making prints into posters! I am very ecited to be able to enlarge some of my scenic photos into largeer high quality images! I will share this info to all my friends! Hey Olga! Congrats. YOU WIN! !